Yozakura, Acoustic-electric Folk/Western guitar from Takamine. 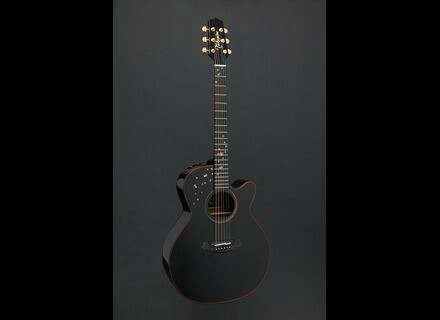 Takamine introduces four new guitars, a quartet of new acoustics including the limited Yazokura. The EG481SCX-FB is a variation on the Gloss Black EG481SCX. This NEXC shaped guitar features a 'Flat Black' finish, complemented by cream binding and a 'motorcycle chain' soundhole rosette. A 12th fret Cross inlay completes the look of this guitar. The EG481SCX-FB will be priced at £419. Based on the recent line of EF300 models, the EF300W offers a traditional looking instrument with a flamed black mahogany back and sides. This guitar is limited to 200 pieces and is available only in Europe. The EF300 will be priced at £1,115. 'Kunoichi' is the term given to a female Ninja in Japan. The Shogun would send these women to spy on his enemies. They attracted their enemy's Shogun and tried to gather secret info, or killed them as an assassin - Hence the choice of an OM body to represent a woman's body shape. It will be priced at £2015. The 'Yozakura' guitar is described as "a celebration of the springtime in Japan, when the Cherry and Plum blossoms fall from the trees, creating a carpet of petals along the roads and pathways." Yozakura is, in particular, symbolic of the Sakura (Cherry Blossom time) as observed at night, according to Takamine. 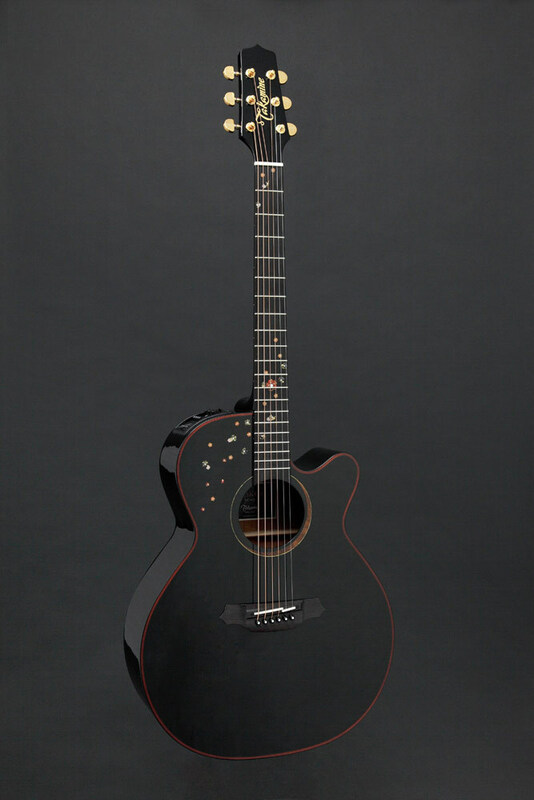 This is represented in the Gloss Black finish, blossom inlays, and the crescent moon sound hole rosette. This guitar is a limited edition of only 40 guitars, available only in Europe. It will be priced at £1,919. For more information, head to the Takamine website. [Musikmesse] HardWire Pedals SP-7 HardWire is now shipping its SP-7 Stereo Phaser effects pedal.